On Saturday I woke up early, tossed the kids some breakfast bars and headed to the backyard. I didn’t even bother changing out of pajamas. This was the first Saturday where we did not have soccer games scheduled and I had grand plans to get the backyard cleaned up. 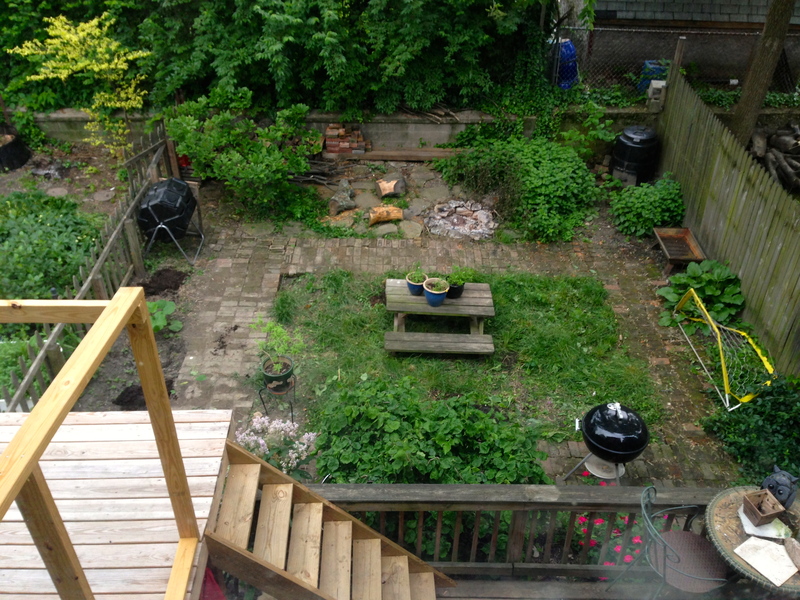 Our yard is small and despite the lack of sunshine tends to grow every weed none to mankind. I spent the first hour or so pulling weeds between all the bricks in the walkway, the second hour burning sticks and stacking logs, then I uncovered soccer balls, rubber boots, hand shovels, trucks and hula hoops from under the deck and tall grass in the middle of our yard. While I worked on that Ben tackled our long narrow side walkway, cleaning up trash left behind from the neighborhood raccoons. We still have a lot to do, like put in the vegetable garden along the fence and transplant some of the mint/lemon balm, but its a start and it felt really good. 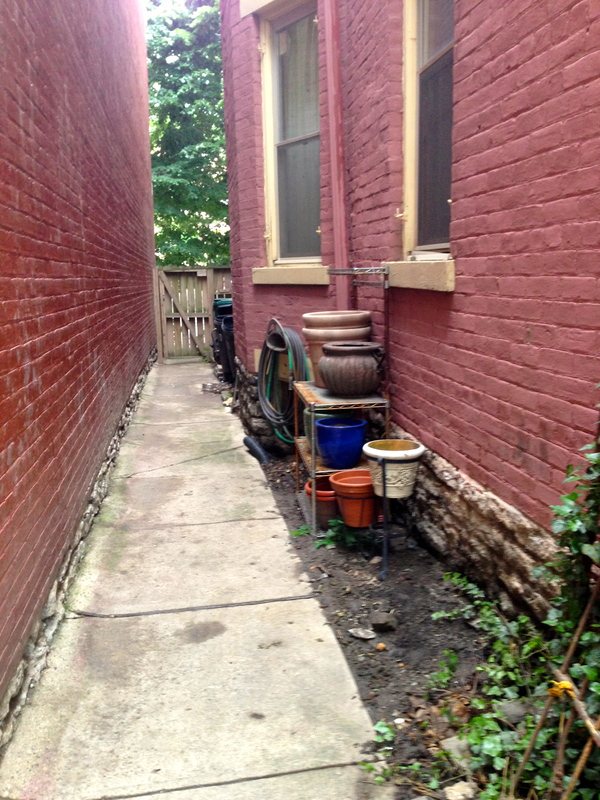 Ben did a great job on the side walkway. I wish we would have taken a before picture. 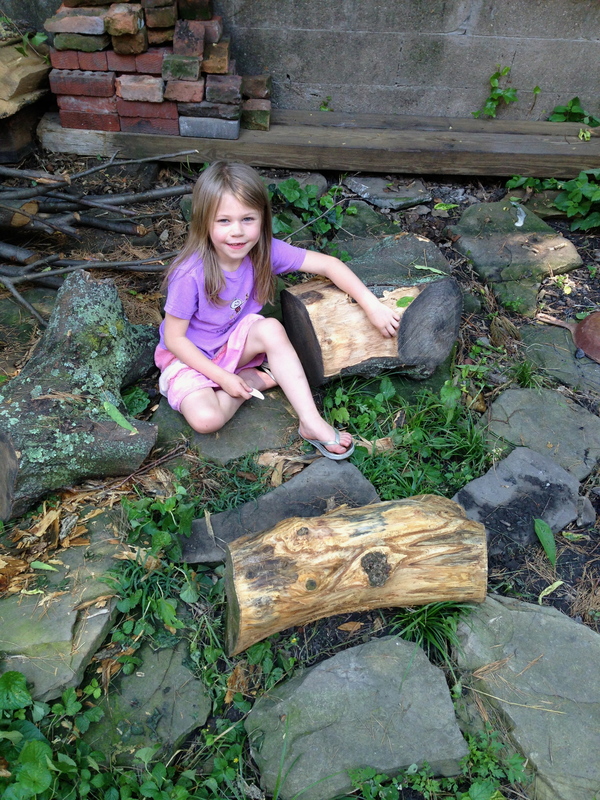 Vita was complaining about not having anything to do on Saturday and she did not want to help us, so I gave her a plastic knife and told her to whittle wood. This kept her busy for a couple of hours. 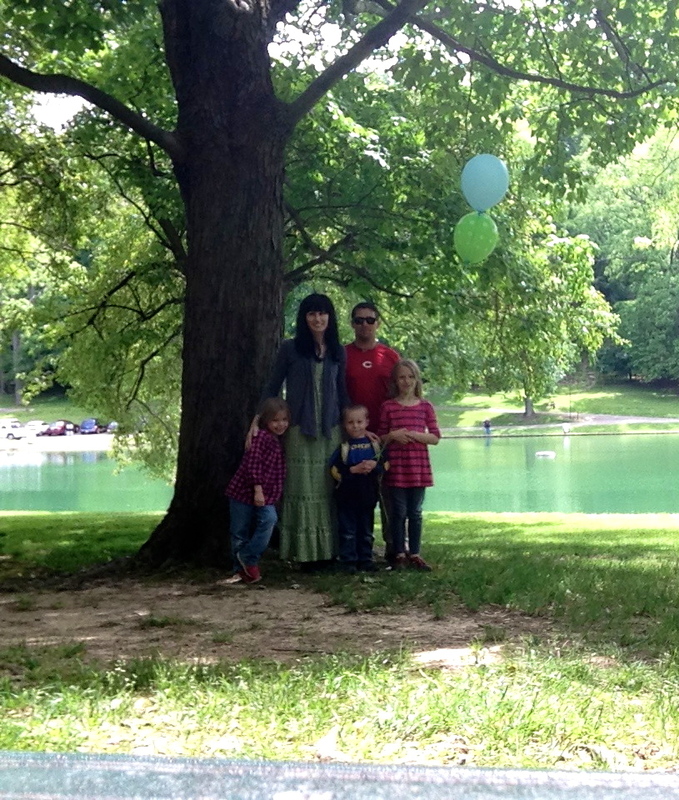 On Sunday we went to Rising Park in Lancaster, Ohio for our nephew’s 1st birthday party. It was great seeing family and the kids had so much fun playing with all their cousins. 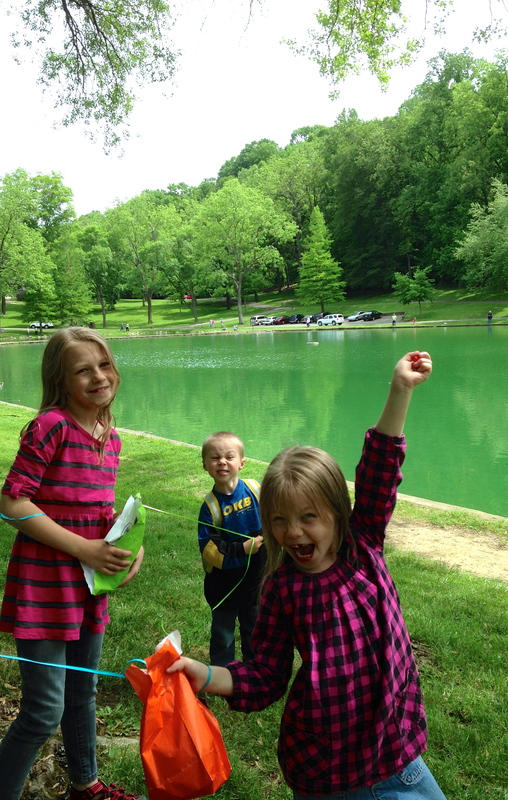 The park was packed and we did not make it to the trails that lead to the top of the cliff overlooking the town, but we did play on the playground and stroll around the pond. I would love to bring the kids back here one day and spend more time. 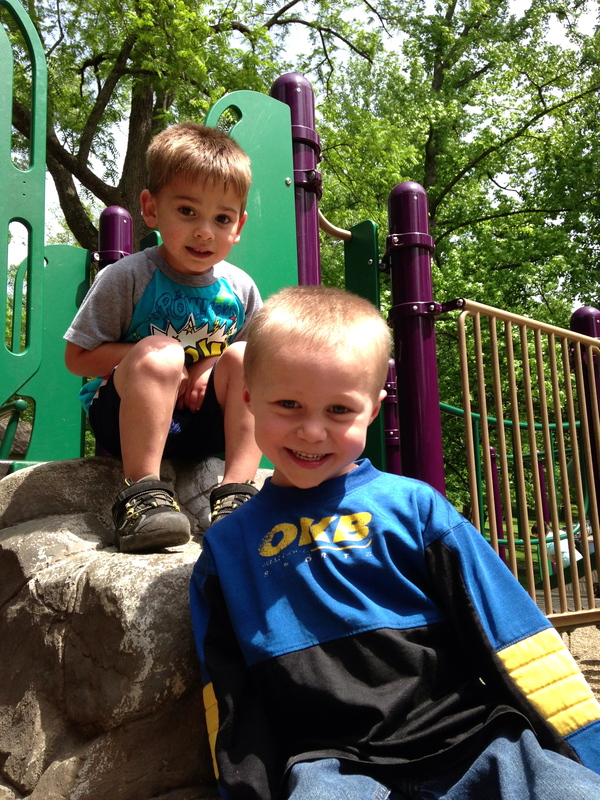 Blackburn getting some much-loved boy time with his cousin. When I tell them I want to take a picture these are the faces I get from them! 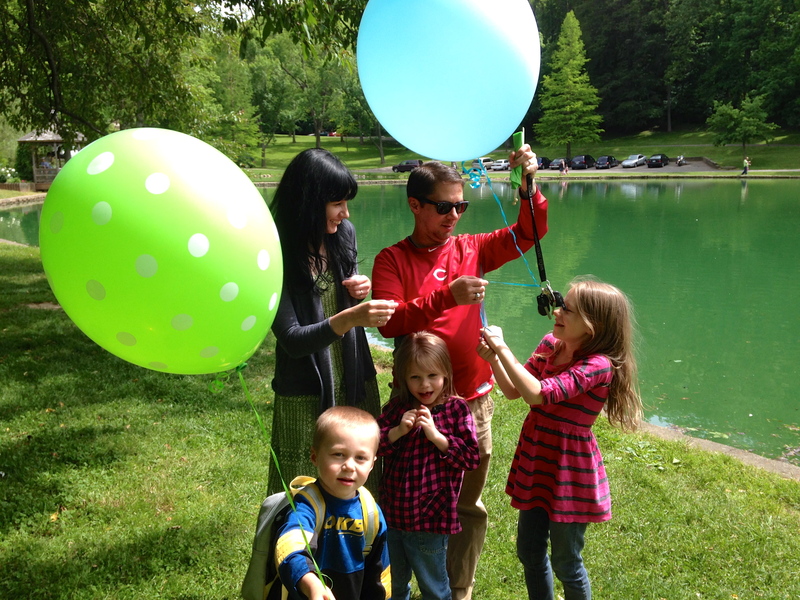 This unplanned shot where Ben’s keys and Isabella’s balloon got tangled ended up being my favorite picture of us. To finish off the extended weekend… today we relaxed and watched Jurassic Park (one of Ben and my favorite movies) with the kids. 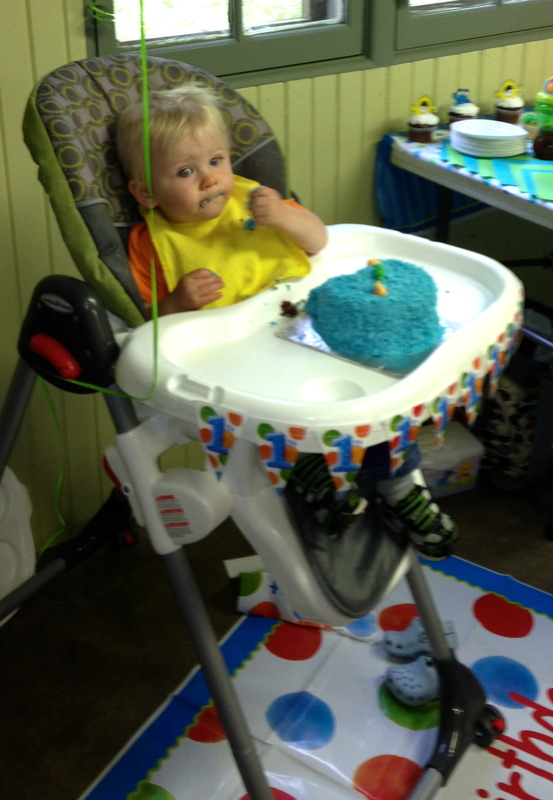 I did nothing eventful this weekend …good pictures!!! Your backyard looks great! I love the last pic. So cute! so green. We never get it green like that here.